Walmart Black Friday Deals are LIVE! 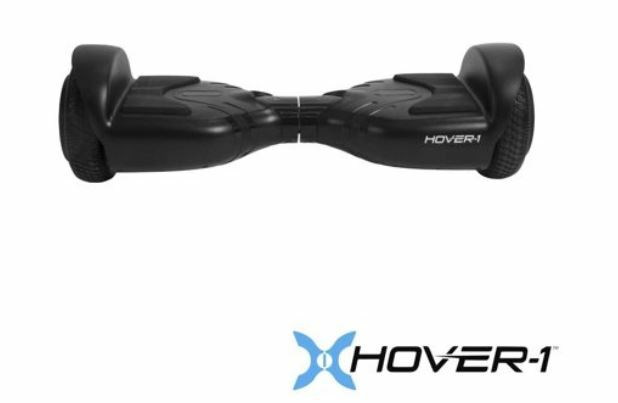 Get this Hover-1 Liberty Hoverboard on sale for $99 Shipped. The Hover-1 Liberty Hoverboard provides a convenient, stylish, and exciting form of transportation. The two driver motors can be controlled independently or with both feet for easy turns and smooth braking. The Hover-1 Liberty Hoverboard Includes an ultra safe and reliable UL-Certified battery and an easy to use charger with Safety Shielded battery enclosure with an IPX4 water resistance rating to keep your Hover-1 Liberty Hoverboard clean and safe. Cruise around on the most stylish Hoverboard on the market, with LED Lights your Hoverboard will provide endless fun for you and your friends and family. With a top speed of 7.4 and a lasting battery life, you can ride your Hover-1 Liberty anytime, anywhere. The Hoverboard can go up to 6 hours on just one charge, and with a speedy full charge time, you can get back to riding faster than ever.